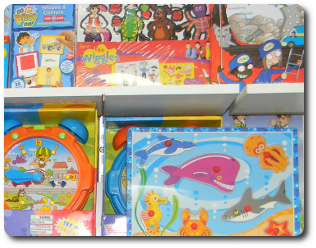 A wide range of toys at great prices is available at Donnybrook Newsagency You will also find a large assortment of board games, puzzles and jigsaws. Be sure to call in regularly to checkout the great range of toys, with new products being added regularly. There is always help at hand to assist with your toy selection, just ask any of our helpful staff.